1. Best Tasting Cupcake: Yes, this is exactly what it sounds like. Our esteemed judges will sample your cupcakes and determine what tastes the best of the bunch! Please note only ONE Flavour is to be entered into this category. 6 Cupcakes to be displayed. 2. Best Decorated Cupcake: While taste is the most important thing in any cupcake, we would also like to see your piping skills. Decorate your cupcake to compliment its flavour – prize for individual cupcake decoration not the group design. 6 Cupcakes to be presented, the Judges will pick one of these cupcakes to judge. 3. 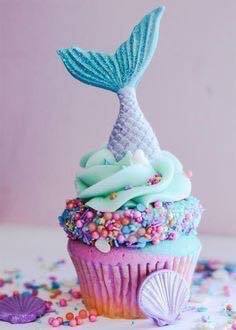 Most Inventive Design or Fantasy Cupcake Display: This is your chance to go wild with the flavours, decorations and all the wonderful ephemera that goes along with cupcakes. Bring your best, weirdest, and most fun designs to be judged by the panel. Creativity really counts-whether it be in your decoration, ingredients, or the presentation. This prize is judged on flavour/design and presentation of your whole display. Please note that while you may include a cake within your display, no extra marks will be awarded for the cake and remember you have 60cm x 60cm display area. A minimum of 6 Cupcakes to be displayed. REGISTRATION: If you plan to compete, please pre-register by emailing info@tasteoflouth.ie your School Details and a contact name and mobile number for the Teacher responsible for the competition entry before 4.00 p.m. on Wednesday 9th November. Please state the number of categories been entered. TIME: Bakers must arrive by 11.00 a.m to set up your cupcake presentation, judging will commence after 11.30 p.m. Awards will be announced by 1.00 p.m.
CHECK-IN: When you arrive, please check in to register your name and the name of your School and to receive your Competition Number to be placed on your sign. CUPCAKES: Please bring a minimum of 6 Standard Cupcakes for your display and remember presentation will be taken into account for each category. Each entry has approx 60cm x 60cm to display. 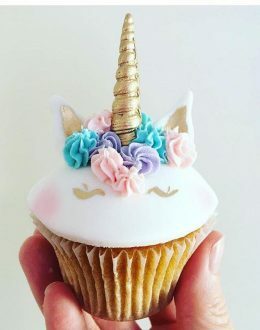 Please note that your sign should not display your name or your Schools name Cupcakes must be made from real cake and can be any flavour or combinations of flavours. The judges may cut and taste one of the cupcakes if necessary. Decorative Medium: Edible decorative mediums and decorations are of the competitors choice. Artificial and non edible decorations are not permitted. All internal supports should be edible, Eg. Sugar sticks, spaghetti. PRIZES: The winner of the Cupcake Challenge will be receive a Trophy as: Taste of Louth Cupcake Champion, their cupcake will be displayed on www.tasteoflouth.ie and each category winner will receive a Cake Decorating Goody Hamper. while you can dress up your board or display them, no cakes should be included in this display. Error: Error validating access token: Session has expired on Saturday, 22-Dec-18 04:12:18 PST. The current time is Friday, 19-Apr-19 11:16:46 PDT.